Beautiful (and unusual!) ceramic beads. These have the most lovely feel to them, and are made with funky bright colours and gorgeous special finishes. 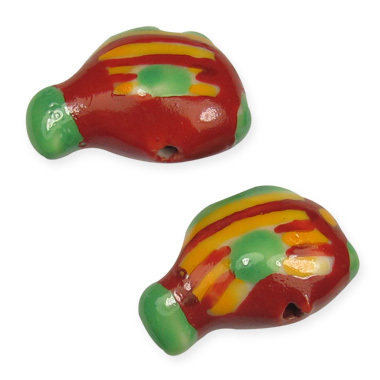 Lovely high quality glazed ceramic beads, in a gorgeous coffee brown twist shape.